 $1,000 Retail Bonus Cash available on all 2019 Hyundai Accent vehicles purchased from dealer stock between before 04/30/2019. Customers who participate in a Special Lease or Low APR program through Hyundai Motor Finance (HMF) do not qualify for Retail Bonus Cash. See participating dealer for details. Offer ends April 30, 2019. $2,750 Retail Bonus Cash available on all 2019 Hyundai Elantra SE / Value vehicles purchased from dealer stock between before 04/30/2019. Customers who participate in a Special Lease or Low APR program through Hyundai Motor Finance (HMF) do not qualify for Retail Bonus Cash. See participating dealer for details. Offer ends April 30, 2019. 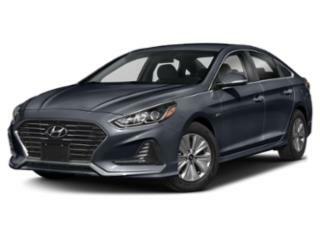 $3,250 Retail Bonus Cash available on all 2019 Hyundai Elantra SEL / SPT / LTD vehicles purchased from dealer stock between before 04/30/2019. Customers who participate in a Special Lease or Low APR program through Hyundai Motor Finance (HMF) do not qualify for Retail Bonus Cash. See participating dealer for details. Offer ends April 30, 2019. 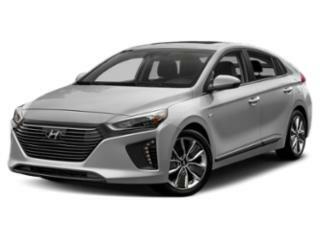 $1,000 Retail Bonus Cash available on all 2019 Hyundai IONIQ HYBRID vehicles purchased from dealer stock between before 04/30/2019. Customers who participate in a Special Lease or Low APR program through Hyundai Motor Finance (HMF) do not qualify for Retail Bonus Cash. See participating dealer for details. Offer ends April 30, 2019. $1,250 Retail Bonus Cash available on all 2019 Hyundai KONA Limited/Ultimate vehicles purchased from dealer stock between before 04/30/2019. Customers who participate in a Special Lease or Low APR program through Hyundai Motor Finance (HMF) do not qualify for Retail Bonus Cash. See participating dealer for details. Offer ends April 30, 2019. $750 Retail Bonus Cash available on all 2019 Hyundai KONA SE/SEL vehicles purchased from dealer stock between before 04/30/2019. Customers who participate in a Special Lease or Low APR program through Hyundai Motor Finance (HMF) do not qualify for Retail Bonus Cash. See participating dealer for details. Offer ends April 30, 2019. $3,000 Retail Bonus Cash available on all 2019 Hyundai Santa Fe Limited/Ultimate vehicles purchased from dealer stock between before 04/30/2019. Customers who participate in a Special Lease or Low APR program through Hyundai Motor Finance (HMF) do not qualify for Retail Bonus Cash. See participating dealer for details. Offer ends April 30, 2019. $1,750 Retail Bonus Cash available on all 2019 Hyundai Santa Fe SE vehicles purchased from dealer stock between before 04/30/2019. Customers who participate in a Special Lease or Low APR program through Hyundai Motor Finance (HMF) do not qualify for Retail Bonus Cash. See participating dealer for details. Offer ends April 30, 2019. 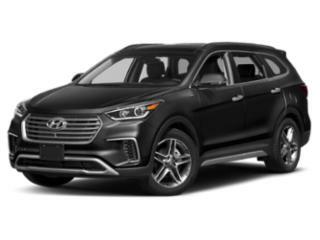 $2,250 Retail Bonus Cash available on all 2019 Hyundai Santa Fe SEL/SEL Plus vehicles purchased from dealer stock between before 04/30/2019. Customers who participate in a Special Lease or Low APR program through Hyundai Motor Finance (HMF) do not qualify for Retail Bonus Cash. See participating dealer for details. Offer ends April 30, 2019. $3,000 Retail Bonus Cash available on all 2019 Hyundai SANTA FE XL vehicles purchased from dealer stock between before 04/30/2019. Customers who participate in a Special Lease or Low APR program through Hyundai Motor Finance (HMF) do not qualify for Retail Bonus Cash. See participating dealer for details. Offer ends April 30, 2019. $1,500 Retail Bonus Cash available on all 2019 Hyundai Sonata Hybrid vehicles purchased from dealer stock between before 04/30/2019. Customers who participate in a Special Lease or Low APR program through Hyundai Motor Finance (HMF) do not qualify for Retail Bonus Cash. See participating dealer for details. Offer ends April 30, 2019. $3,000 Retail Bonus Cash available on all 2019 Hyundai Sonata Limited / 2.0T Limited vehicles purchased from dealer stock between before 04/30/2019. Customers who participate in a Special Lease or Low APR program through Hyundai Motor Finance (HMF) do not qualify for Retail Bonus Cash. See participating dealer for details. Offer ends April 30, 2019. 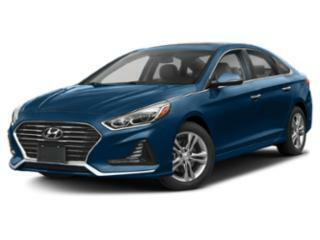 $2,750 Retail Bonus Cash available on all 2019 Hyundai Sonata not Limited vehicles purchased from dealer stock between before 04/30/2019. Customers who participate in a Special Lease or Low APR program through Hyundai Motor Finance (HMF) do not qualify for Retail Bonus Cash. See participating dealer for details. Offer ends April 30, 2019. $1,500 Retail Bonus Cash available on all 2019 Hyundai SONATA PLUG-IN HYBRID vehicles purchased from dealer stock between before 04/30/2019. Customers who participate in a Special Lease or Low APR program through Hyundai Motor Finance (HMF) do not qualify for Retail Bonus Cash. See participating dealer for details. Offer ends April 30, 2019. $3,000 Retail Bonus Cash available on all 2019 Hyundai Tucson not SE vehicles purchased from dealer stock between before 04/30/2019. Customers who participate in a Special Lease or Low APR program through Hyundai Motor Finance (HMF) do not qualify for Retail Bonus Cash. See participating dealer for details. Offer ends April 30, 2019. $2,250 Retail Bonus Cash available on all 2019 Hyundai Tucson SE vehicles purchased from dealer stock between before 04/30/2019. Customers who participate in a Special Lease or Low APR program through Hyundai Motor Finance (HMF) do not qualify for Retail Bonus Cash. See participating dealer for details. Offer ends April 30, 2019. $1,750 Retail Bonus Cash available on all 2019 Hyundai Veloster vehicles purchased from dealer stock between before 04/30/2019. Customers who participate in a Special Lease or Low APR program through Hyundai Motor Finance (HMF) do not qualify for Retail Bonus Cash. See participating dealer for details. Offer ends April 30, 2019. $2,500 Retail Bonus Cash available on all 2018 Hyundai Elantra GT vehicles purchased from dealer stock between before 04/30/2019. Customers who participate in a Special Lease or Low APR program through Hyundai Motor Finance (HMF) do not qualify for Retail Bonus Cash. See participating dealer for details. Offer ends April 30, 2019.